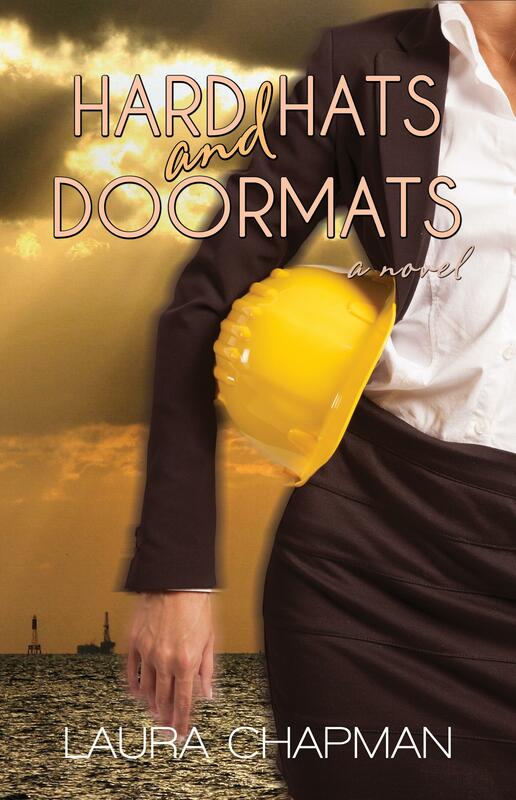 I am thrilled to participate in the Cover Reveal for author Laura Chapman’s debut novel Hard Hats and Doormats! Laura’s blog Change the Word is one of my favorites and I am so excited to watch her segue from blogger to author and I wish her much success in her writing career. Laura Chapman found a way to mix her love of romance and humor as a women’s fiction author and blogger. A 2008 graduate of the University of Nebraska-Lincoln, Laura studied journalism, English and history. She traveled across the United States as a writer/photographer before settling into a career in communications. She also maintains Change the Word, a blog devoted to promoting women’s fiction and documenting her experiences as a writer. Born and raised in Nebraska – in a city, not on a farm – she is a devoted fan of football, British period drama, writing in bars and her cats, Jane and Bingley. Hard Hats and Doormats is her debut novel. Welcome Laura Chapman of Change the Word to the Celebration of Bloggers Tour! Today on the Celebration of Bloggers Tour, I am happy to introduce you to Laura Chapman, founder of Change the Word. I initially met Laura when I asked her to read and review A State of Jane on Change the Word, but I later became more familiar with her through Twitter and Facebook. Although her reviews are extremely well-written and thorough, her tweets are often hilarious. Laura has one hell of a sense of humor and shares my love of television, movies and the alcoholic beverage! Laura is also an aspiring author and I am sure we will be seeing her more in that capacity in the future. Read Laura’s post below about her passion for writing and don’t forget to check out Change the Word. I’ve always known I wanted to be a writer. I didn’t always know how to be one. Learning the mechanics was a necessary base. It wasn’t until I became a blogger that I learned the most important part of being a writer: having a voice, perseverance and heart. I fell into blogging because I was bored and broke. 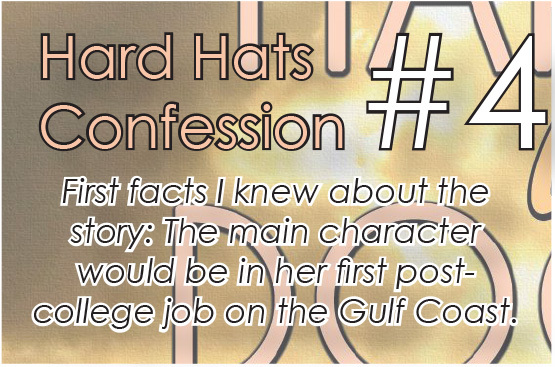 Though I’d written posts for my college newspaper’s blog, I didn’t start a blog of my own until after graduation. In the summer of 2008, I was interning at a newspaper in Southern Illinois. At 21/22 my idea of nightlife was barhopping, but bars were scarce and my money was scarcer. Pretending Pretentious was born during those first weeks. It served as a platform for me to share my experiences as an intern, give my take on the state of the changing journalism industry and even critique media coverage of the 2008 presidential election. I described the mix of nerves I felt after my semi-exclusive interview with then-Illinois Governor Rod Blagojevich. I complained about the injustice of publications that focused on the clothing female candidates wore above their proposed policies. When my internship was done, I decided my blog was more pretentious than pretending pretentious and I let it fall silent. I ultimately deleted the diary of my precious summer of limbo for reasons I can’t remember. In early 2010, I once again had this urge to be heard. I was a little more than a year into my first full-time job out of college. I was living in Texas and spending much of my life traveling from motel to motel with a pair of steel-toed boots. This wasn’t the life I’d imagined on graduation day. Either journalism had failed me or I’d failed at being a journalist. The job market was bad, but even if it wasn’t, I was professionally lost. What did I want to do with my life? How was I going to make it happen? Change the Word became my first real connection to the writing world. I wanted to be a novelist. I had ideas, and I’d even written the opening chapters of a few books. But my productivity always fell flat once I got past the initial planning stages. This time, having a blog was my way of experimenting with writing in a new format. It also gave me hope. If I could maintain a blog with steady content, surely I could write and publish a novel. Eventually, I began posting book reviews on the blog. I’d done reviews for my college newspaper, and as a voracious reader, I wanted to share my opinions with the world. Through the reviews came another connection to the writing world. I began receiving review requests. I made connections with other writers. The more I blogged, the more I wrote for other reasons, too. Since starting Change the Word, I’ve completed two novels and a novelette (all in editing). I’ve developed several future projects. While I’m still at the aspiring author stage, my blog has helped me inch closer and closer to publication. Thanks to my blog, I’ve learned more about what it took to be a writer. It’s more than knowing how to string together words and sentences. 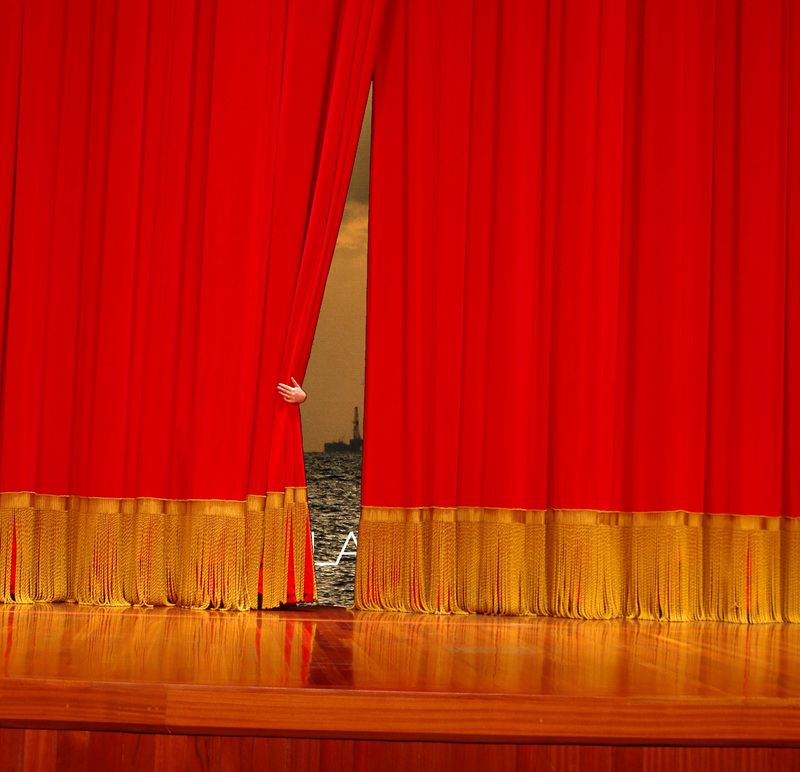 It’s about finding and building an audience. It’s about developing your craft and stories. It’s about keeping your goal in mind even when faced with adversity. Blogs are a great way to promote yourself and your projects, but more importantly they are a great way to experiment and learn. Out of all the lessons I’ve learned – and continue to learn – as a blogger girl, perhaps the greatest has been finding my voice. Whether writing a review, sharing a literary tip or retelling a silly story from my day I’ve found a way to let my words speak in a way that represents me as a person. I have to admit, the voice I found is a bit more ridiculous and less prim and proper than I’d imagined it would be when I started my first blog. But I’m fine with that. I am me, so why not embrace it. Even if that means I’m devoting an obscene amount of content to my cats and my latest literary crushes. 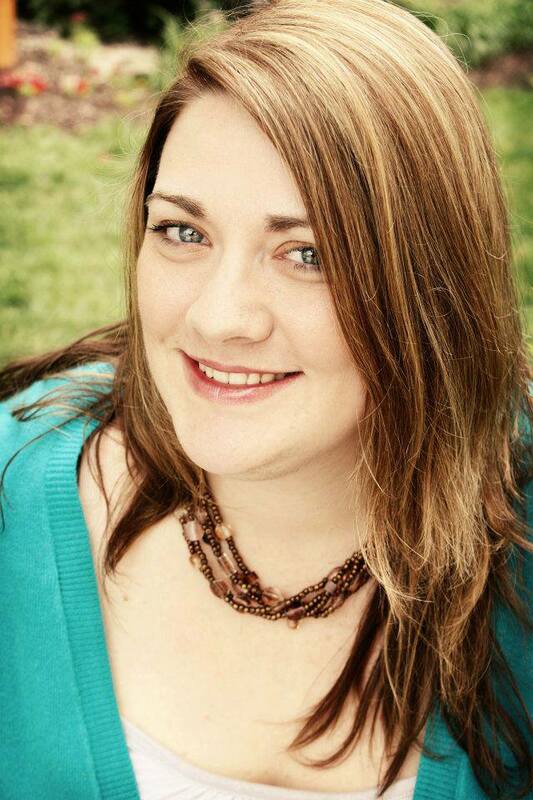 Laura Chapman is a blogger and soon-to-be published author of women’s fiction. A 2008 graduate of the University of Nebraska-Lincoln, Laura studied journalism, English and history. She spent four years in corporate journalism, traveling the country as a writer/photographer, and currently works in marketing and communications. Born and raised in Nebraska – in a city, not on a farm – she is a devoted football fan, lover of British period drama and frequent bar attendee. Her debut novel and a holiday novelette will be released later this year.